Acer recently launched a superior multitasking powered by Qualcomm Snapdragon 808 processor and runs on Windows 10 Mobile, the Liquid Jade Primo Smartphone. The Liquid Jade Primo is a 5.5-inch premium smartphone which provides ultimate productivity for professionals through Continuum, allowing Windows 10 universal apps to provide a PC-like experience when the smartphone is connected with a secondary display. This Pocket PC comes with a USB Type-C monitor, wireless display accessories or the Display Dock. 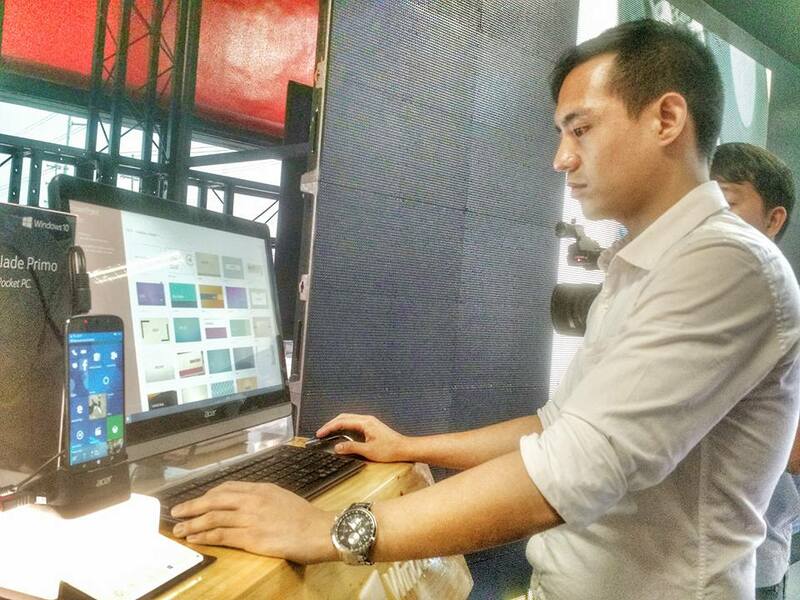 It can provide a PC-like experience on an external display with Windows 10 universal apps. It can be used as a touchpad and virtual keyboard or a keyboard and mouse can be connected for multitasking on both the screen and on the external display. Even you are on the out town trip, you can connect your smartphone to a TV or monitor at hotels or anywhere on the go for productivity-intensive applications. You can play videos on the TV while using other apps on the smartphone simultaneously. You can use the Jade Primo as a game controller to play game on monitor, TV or projectors. The new smartphone features AMOLED and ZERO Air Gap technologies which deliver vivid colors ad crystal-clear visual experience.The 21MP f/2.2 auto-focus rear camera has dual LED flash and supports up to 4K (3840 x 2160) video recording and the 8MP f/2.2 front-facing camera boasts a wide-angle of up to 84-degrees, while supporting up to Full HD 1080p video recording. It comes also with 3GB RAM and 32GB of internal memory. 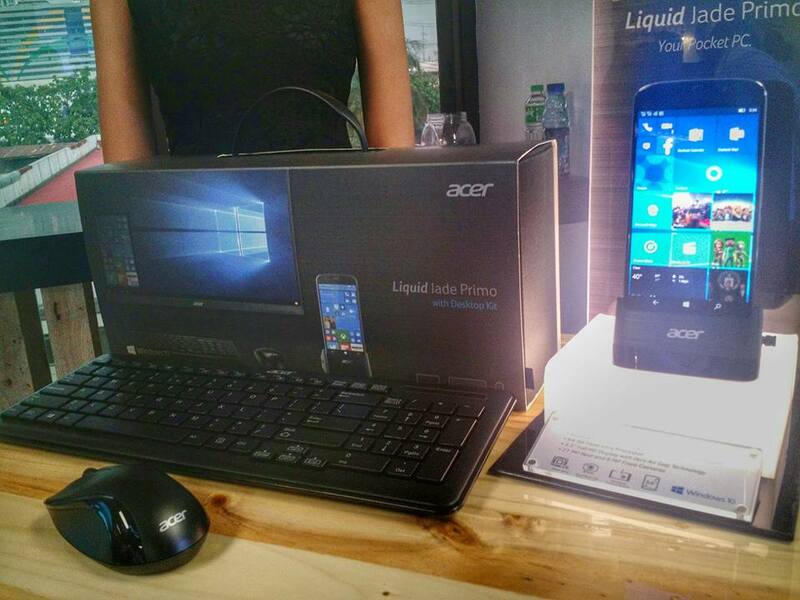 The Acer Liquid Jade Primo is now available in the Philippines via select Acer Concept Stores nationwide and comes bundled with a keyboard and mouse. 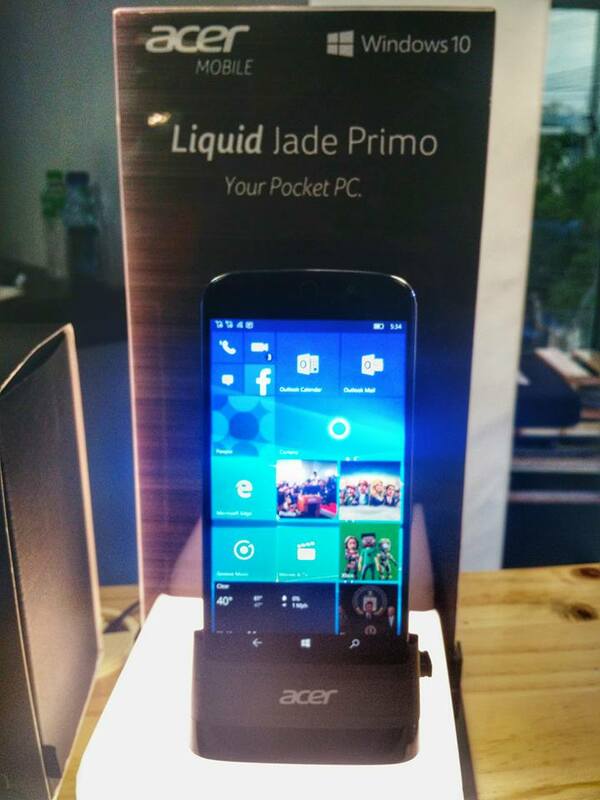 The Acer Liquid Jade Primo is on sale at the Acer Concept Store Mobility at SM North Edsa and Acer Concept store in SM Southmall, Complink at Acer Concept store SM Bacoor, Asianic at Acer Concept store SM Cebu, BCG at Acer Concept store SM Bacolod, Silicon Valley at Acer Conceprt Store SM Mall of Asia, Memo Express at the Acer Mobile Kiosks in SM Sta Rosa and Glorietta, and Wiltelcom at Acer Concept Store in GMall Davao.